According to writer and founder of Gnostic Movement, Samael Aun Weor, the "Logos is the Cosmic Christ, that vibrant energy which always seek to assist suffering humanity. And those who incarnate the Christ (Krishna, Horus, Jesus, Fu Hsi, etc.) are one with the Word; they become the Word made flesh. These Messiahs emerge from various cultures throughout history in order to establish great spiritual traditions that glorify the Word and teach the means to incarnate It. They come to fulfill the purpose of the Word and to clarify true teachings that inevitably degenerate through exposure in the world of men and must be reinvigorated. “Perhaps it would be helpful to consider the difference between the word 'religion' and another word commonly associated with it, 'spirituality.' Spirituality, it could be said, has to do with one's interior life, the ever-evolving understanding of one's self and one's place in the cosmos—what Victor Frankl called humankind's 'search for meaning.' Religion, on the other hand, can be seen as spirituality's external counterpart, the organizational structure we give to our individual and collective spiritual processes, the rituals, doctrines, prayers, chants, and ceremonies, and the congregations that come together to share them. Sai Baba of Shirdi and Abraham. This overriding unity of all messengers of various religions as One was consistently witnessed by Kash throughout all his journeys into the Kingdom of God. It was for this reason that on December 31, 1993, his father requested him to wish Shri Mataji and all the Messengers of God Almighty a 'Happy New Year'. This young child had been meditating for nearly two months and daily provided his father with unassailable evidence that whatever he was witnessing in the Kingdom of God within was not a figment of his imagination, but a Reality greater than that of this earthly existence. And he (together with his brother Arwinder and sister Lalita) always maintained that all the Messengers of Hinduism, Christianity, Islam, Buddhism, Sikhism and others were living in perfect harmony in the Spirit World. His father, absolutely convinced that his son was telling the Truth, felt obligated to send the Divine Messengers of God at least a New Year greeting. Kash had already stunned him a few days earlier by narrating his first meeting with Lord Jesus to wish Him a Happy Christmas. Protocol and obligation now called for New Year greetings to be sent to all God Almighty's Messengers living in the Spirit World. His son sat down and raised the Kundalini. Instantly the Divine Energy surged from his sacrum bone and coursed its way up through the central Sushumna Nadi into the Sahasrara, the Kingdom of God within. He came through the Celestial Clouds and found himself standing in the middle of the semi-circle made up of all the prophets and messengers of God Almighty—Jesus, Prophet Muhammad, Buddha, Guru Nanak, Shri Radha and Krishna, Shiva and Parvati, Lakshmi and Vishnu, Saraswati and Brahmadeva, Sita and Rama, Ganesha, Hanuman and others. In front of him sat the Divine Mother on a golden throne. Above the radiance of the extremely brilliant Eternal Light shone into infinity. Kash first bowed to the Maha-Devi sitting on the Eternal Throne and extended New Year greetings to Her. He then turned in three directions (right, back and left), and wished all of them. Every time Kash extended felicitations Shri Bhedanasini Devi 2 translated his English "Happy New Year" into Sanskrit for the benefit of the Vedic Messengers. Kash then walked towards it, sat down and merged into this body. It fitted him perfectly, right from each single hair on his head to the cuticle of his toe. It was his spiritual self in the Kingdom of God Almighty. Only his corporeal body was on this Earth. Then, again, his spiritual self was living within his physical body that was on Earth. All of them then raised their Kundalinis and began meditation. Waves of Cool Breeze buffeted Kash as the Bliss and Joy overwhelmed him. All traces of duality was obliterated for they were all merged into One. They had become the All Pervading Ocean of Consciousness that pulsated in each and every atom, each and every Sahasrara, each and every universe. Shri Saksi-varjita Devi 3, the Divine Unity and Kash were just One, and there was no other. There was no trace, no awareness, no consciousness of any duality. There was no Shri Mataji, Shri Krishna, Shri Jesus, Shri Ganesha or any one else. Kash even lost complete trace of himself. There was only Sat (Truth.) There was only Chit (Awareness.) There was only Anand (Bliss.) There was only one absolute Brahman. “Human beings through history have formulated many different names and forms for the Divine or Eternal. Just as we have many names and forms for other things, whether it is foods, or types of art, so too, in religion a similar great diversity has been created. The Western world has prided itself in monotheism, the idea that there is only One God as the highest truth. Western religions have said that only the names and forms which refer to this One God are valid but those which appear to worship another God, or a multiplicity of divinities, must be false. They have restricted the names and forms they use in religious worship, and insist that only one set is true and correct and others are wrong or unholy. This One Supreme Divinity (Brahman/Father/Allah) resides within all humans! 2 since you have given him authority over all people, to give eternal life to all whom you have given him. 3 And this is eternal life, that they may know you, the only true God, and Jesus Christ whom you have sent. 4 I glorified you on earth by finishing the work that you gave me to do. 5 So now, Father, glorify me in your own presence with the glory that I had in your presence before the world existed. 6"I have made your name known to those whom you gave me from the world. They were yours, and you gave them to me, and they have kept your word. 8 for the words that you gave to me I have given to them, and they have received them and know in truth that I came from you; and they have believed that you sent me. 9 I am asking on their behalf; I am not asking on behalf of the world, but on behalf of those whom you gave me, because they are yours. 10 All mine are yours, and yours are mine; and I have been glorified in them. 11 And now I am no longer in the world, but they are in the world, and I am coming to you. Holy Father, protect them in your name that you have given me, so that they may be one, as we are one. 12 While I was with them, I protected them in your name that you have given me. I guarded them, and not one of them was lost except the one destined to be lost, so that the scripture might be fulfilled. 13 But now I am coming to you, and I speak these things in the world so that they may have my joy made complete in themselves. 14 I have given them your word, and the world has hated them because they do not belong to the world, just as I do not belong to the world. 15 I am not asking you to take them out of the world, but I ask you to protect them from the evil one. 16 They do not belong to the world, just as I do not belong to the world. 17 Sanctify them in the truth; your word is truth. 18 As you have sent me into the world, so I have sent them into the world. 19 And for their sakes I sanctify myself, so that they also may be sanctified in truth. 21 that they may all be one. As you, Father, are in me and I am in you, may they also be in us, so that the world may believe that you have sent me. 23 I in them and you in me, that they may become completely one, so that the world may know that you have sent me and have loved them even as you have loved me. 24 Father, I desire that those also, whom you have given me, may be with me where I am, to see my glory, which you have given me because you loved me before the foundation of the world. 25"Righteous Father, the world does not know you, but I know you; and these know that you have sent me. This universe springs from the deathless Atman [= Brahman]. Which casts the spell of pain and pleasure. Do we see the One who appears as many. Who has become boy and girl, bird and beast. We feel attached and fall into sorrow. And you will be freed from sorrow. And enter into the Unitive State. Then one fears no more. Until we realize the unity of life we live in fear. His separateness becomes fear itself. In the sea of pure consciousness [= the Atman = Brahman], infinite and immortal. The Atman is indeed Brahman. And the elements of earth, water, air, space, and fire. And appears to be everything. In the beginning was only Being [= Brahman]. And entered into everything in it. There is nothing that does not come from him. Of everything Brahman is the inmost Atman. He is the truth; he is the Atman supreme. And you are that, Shvetaketu; you are that (tat tsam asi). He cannot be grasped even by the mind. And he is different from the unknown. Thus have we heard from the illumined ones. 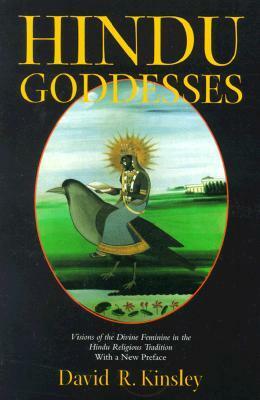 "An underlying theological assumption in texts celebrating the Mahadevi is that the ultimate reality in the universe is a powerful, creative, active, transcendent female being. The Lalita-sahasranama gives many names of the Mahadevi, and several of her epithets express this assumption. She is called, for example, the root of the world (Jagatikanda, name 325), she who transcends the universe (Visvadhika, 334), she who has no equal (Nirupama, 389), supreme ruler (Paramesvari, 396), she who pervades all (Vyapini, 400), she who is immeasurable (Aprameya, 413), she who creates innumerable universes (Anekakotibrahmandajanani, 620), she whose womb contains the universe (Visvagarbha, 637), she who is the support of all (Sarvadhara, 659), she who is omnipresent (Sarvaga, 702), she who is the ruler of all worlds (Sarvalokesi, 758), and she who supports the universe (Visvadharini, 759). In the Devi-bhagavata-purana, which also assumes the ultimate priority of the Mahadevi, she is said to be The Mother of all, to pervade the three worlds, to be the support of all (1.5.47-50), to be the life force of all beings, to be the ruler of all beings (1.5.51-54), to be the only cause of the universe (1.7.27), to create Brahma, Visnu, and Siva and to command them to perform their cosmic tasks (3.5.4. ), to be the root of the tree of the universe (3.10.15), and to be she who is supreme knowledge (4.15.12). The text describes her by many other names and phrases as it exalts her to a position of cosmic supremacy. One of the central philosophic ideas underlying the Mahadevi, an idea that in many ways captures her essential nature, is sakti. Sakti means "power"; in Hindu philosophy and theology sakti is understood to be the active dimension of the godhead, the divine power that underlies the godhead's ability to create the world and to display itself. within the totality of the godhead, sakti is the complementary pole of the divine tendency towards quiescence and stillness. It is quite common, furthermore, to identify sakti with a female being, a goddess, and to identify the other pole with her male consort. The two poles are understood to be interdependent and to have relatively equal status in terms of divine economy. Texts of contexts exalting the Mahadevi, however, usually affirm sakti to be a power, or the power, underlying ultimate reality, or to be the ultimate reality itself. Instead of being understood as one or two poles or as one dimension of a bipolar conception of the divine, sakti as it applies to the Mahadevi is often identified with the essence of reality. If the Mahadevi as sakti is related to another dimension of the divine in the form of a male deity, he will tend to play a subservient role in relation to her. In focussing on the centrality of sakti as constituting the essence of the divine, texts usually describe the Mahadevi as a powerful, active, dynamic being who creates, pervades, governs, and protects the universe. As sakti, she is not aloof from the world but attentive to the cosmic rhythms and the needs of her devotees. In a similar vein the Mahadevi is often identified with prakrti and maya. Indeed, two of her most common epithets are Mulaprakrti (she who is primordial matter) and Mahamaya (she who is great maya)... In the quest for liberation prakrti represents that from which one seeks freedom. Similarly, most schools of Hindu philosophy identify maya with that which prevents one from seeing things as they really are. Maya is the process of superimposition by which one projects one's own ignorance on the world and thus obscures ultimate truth. To wake up to the truth of things necessarily involves counteracting or overcoming maya, which is grounded in ignorance and self-infatuation. Liberation in Hindu philosophy means to a great extent the transcendence of embodied, finite, phenomenal existence. And maya is often equated precisely with finite, phenomenal existence. To be in the phenomenal world, to be an individual creature, is to live enveloped in maya. When the Mahadevi is associated with prakrti or maya, certain negative overtones sometimes persist. As prakrti or maya she is sometimes referred to as the great power that preoccupies individuals with phenomenal existence or as the cosmic force that impels even the gods to unconsciousness and sleep. But the overall result of the Mahadevi's identification with prakrti and maya is to infuse both ideas with positive dimensions. As prakrti or maya, the Devi is identified with existence itself, or with that which underlies all existent things. The emphasis is not on the binding aspects of matter or the created world but on the Devi as the ground of all things. Because it is she who pervades the material world as prakrti or maya, the phenomenal world tends to take on positive qualities. Or perhaps we could say that a positive attitude toward the world, which is evident in much of popular Hinduism, is affirmed when the Devi is identified with prakrti and maya. The central theological point here is that the Mahadevi is the world, she is all this creation, she is one with her creatures and her creation. Although a person's spiritual destiny ultimately may involve transcendence of the creation, the Devi's identification with existence per se is clearly intended to be a positive philosophical assertion. She is life, and to the extent that life is cherished and revered, she is cherished and revered. As sakti, prakrti, and maya, the Devi is portrayed as an overwhelming presence that overflows itself, spilling forth into the creation, suffusing the world with vitality, energy, and power. When the Devi is identified with these well-known philosophical ideas, then, a positive point is being made: the Devi creates the world, she is the world, and she enlivens the world with creative power. As sakti, prakrti, and maya, she is not understood so much as binding creatures to finite existence as being the very source and vitality of creatures. She is the source of creatures—their mother—and as such her awesome, vital power is revered. The idea of brahman is another central idea with which the Devi is associated. Ever since the time of the Upanishads, brahman has been the most commonly accepted term or designation for the ultimate reality in Hinduism. In the Upanishads, and throughout the Hindu tradition, brahman is described in two ways: as nirguna (having no qualities or beyond all qualities) and saguna (having qualities). As nirguna, which is usually affirmed to be the superior way of thinking about brahman, ultimate reality transcends all qualities, categories, and limitations. As nirguna, brahman transcends all attempts to circumscribe it. It is beyond all name and form (nama-rupa). As the ground of all things, as the fundamental principle of existence, however, brahman is also spoken of as having qualities, indeed, as manifesting itself in a multiplicity of deities, universes, and beings. As saguna, brahman reveals itself especially as the various deities of the Hindu pantheon. The main philosophical point asserted in the idea of saguna brahman is that underlying all the different gods is a unifying essence, namely, brahman. Each individual deity is understood to be a partial manifestation of brahman, which ultimately is beyond all specifying attributes, functions, and qualities. “Sahaja Yoga is more concerned with the Mahalakshmi Power—evolutionary power- which also integrates all the three powers at the point beyond the Brahmarandra (top of the head). 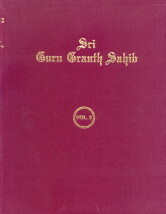 With this integration, the Sahaja Yoga discovery proves that the human being is a perfected instrument, a computer built in various period which, when put to the mains, starts giving information. "So the Time has come for all of us to understand that all religions are One. They are part and parcel of One God and that all Incarnations are supporting each other, nourishing each other and caring for each other. There is complete concord between them. There is no way you will see they will oppose each other. Never!" "If one considers the absurdity and the implications and the after-effects of many otherwise apparently rational conclusions, one has to say that rationality, though we are very proud and boast of it, it is not such a responsible vehicle for wisdom. In view of the unreliable results of applied rationality, it is clearly wrong to have such firm ideas and beliefs based solely on rational theories. There is no final answer to fundamental questions through the use of rationality alone, because discussion shows that each view might be partially right. One definitely cannot say that this one is fully right and the other is fully wrong. In our wisdom, we must understand that the Truth in effect is absolute and not relative or variable as we commonly experience it, like the six blind men (a Jew, Christian, Muslim, Sikh, Buddhist and Hindu) describing an elephant from six different angles: one, holding the trunk, says: 'It is long like a snake. '; another, feeling a leg, says: 'It is massive like a tree.' Each has a very firm and indeed justified faith in the correctness of what he has found, but each contradicts the other, because each has only a partial and relative view. My God Versus Your God? "Religion has been at the forefront of controversy, hatred and wars throughout all of recorded history. And there is no issue that has been more contentious than the name of The Creator. Each of the major religions has, at its very core, the fundamental concept of an omnipotent, omniscient, omnipresent Creator that is beyond the understanding of the limited minds of mankind. Since these diverse cultures all agree that there is One Creator, a Creator whom we all honor, and whose ways we all strive to learn to live in harmony with, then isn't that a common bond that we should all share and celebrate? Who can claim to know the 'true' name of the That Which is beyond name and form? Is it even meaningful to try to name That Which is beyond name and form? 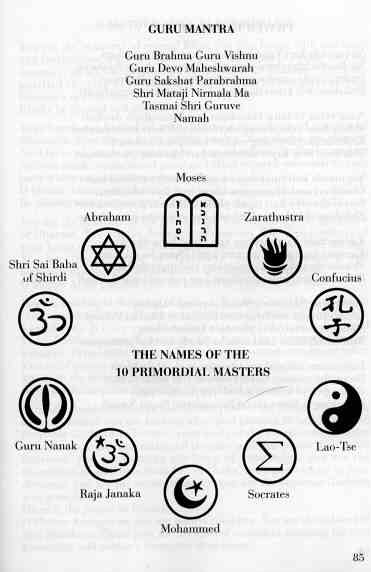 God, Khoda, Allah, Alaha, El, Elohim, Elat, Om, Jehova, Jah, Yahweh, Brahman, Ram, Krishna, Ahura Mazda, Tao... and many more, have all been used to refer to That Which is beyond name and form. Nonetheless, words and names are only metaphors that we use to refer to something. The meaning is not inherent in the word, rather the meaning is something that is agreed upon. For example, each language has its own words for mother and father and for hot and cold... is it surprising then that each culture should have its own words to refer to the One? Throughout recorded history, the differences of mankind have been used as excuses for crusades, wars and hatred. Must every generation fall prey to the same old foolishness, or is it finally time for a new understanding, an understanding based on That Which we all share in common? May we all learn to celebrate the glory of the Divine Flame that glows in the heart of all beings. "Mysticism, in general, a spiritual quest for hidden truth or wisdom the goal of which is union with the divine or sacred (the transcendent realm.) Forms of mysticism are found in all major religions, by analogy in the shamanic and other ecstatic practices of nonliterate cultures, and in secular experience. "The personal aspect of the Ultimate Reality is known as Saguna Brahman, that is Brahman with attributes. Saguna Brahman is the creator, sustainer and controller of the universe. Saguna Brahman cannot be limited by one form and is therefore worshipped by Hindus in both male and female forms. As the male aspect, Saguna Brahman is called by various Sanskrit names, such as Ishvara, Parameshvara, Paramãtma, Maheshvara, and Purusha. These Sanskrit names represent more or less the same concept as the word God in other religions. "With sincerity and earnestness one can realize God through all religions. 2. Bhedanasini (179th): Destroys distinction between body, mind, soul, etc., and finally between Sakti and Siva. She rains forth weapons in return to every weapon released by Bhandasura. Once Sri-Lalita as Vimarsa-Sakti takes hold of the devotee, She will control every downward egotistic pull of his mind and every notion of dualism. 3. Saksi-varjita (385th): None to witness Her. This is the final stage of realisation beyond turiya state called turiyatita. This is the state of complete oneness without any duality. Disclaimer: Our material may be copied, printed and distributed by referring to this site. This site also contains copyrighted material the use of which has not always been specifically authorized by the copyright owner. We are making such material available to our readers under the education and research provisions of "fair use" in an effort to advance freedom of inquiry for a better understanding of religious, spiritual and inter-faith issues. The material on this site is distributed without profit. If you wish to use copyrighted material for purposes other than "fair use" you must request permission from the copyright owner. — BUT PAPA, HE'S HUGE! — YES! THAT IS JESUS! — HAVE YOU SEEN THIS PERSON? — "I WANT TO SEE THE BUDDHA"
● Sages already ancient in 4000 B.C. ● Why Shri Mataji keep reminding us of Jesus? ● Is this about Religion?